2. Pipe frosting onto cooled cupcakes, careful to cover the filled center with frosting. Store frosted cupcakes airtight, preferably in the fridge. They’re super good cold! 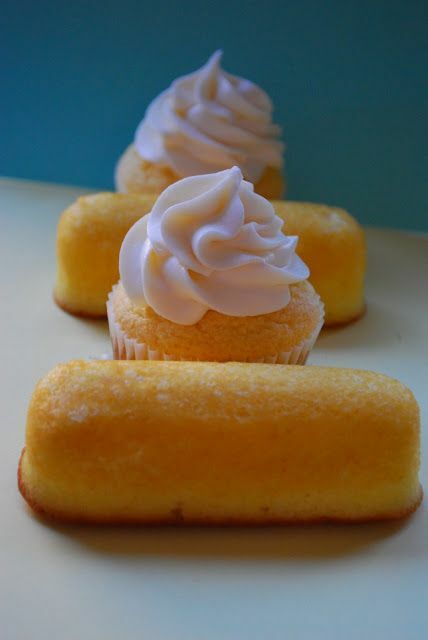 If desired, garnish with thin slices of Twinkies.